Single cell analysis is a rapidly growing market, allowing scientists to observe the behavior of individual cells in isolation. This makes it easier to research the effects of specific genes or drugs, increasing our understanding of the interconnecting molecular events continually taking place in each cell. The success of Dolomite Microfluidics in this arena is a testament to both the quality and flexibility of the company’s modular microfluidic systems and components. 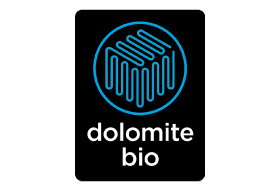 Blacktrace has now created Dolomite Bio specifically to cater for the life sciences market, with the aim of developing a range of specialist microfluidic systems and modules – as well as control software and reagents – for cell biology applications. Its highly scalable core technology enables microdroplet encapsulation of individual cells and molecules – from a few cells to millions or more – in just a few minutes, making it ideal for high throughput applications.